The City of Manhattan could be seeing 36 new affordable senior-living duplexes in the future. The Manhattan City Commission unanimously approved a real estate deal to sell 19 lots of Lee Mill Village to the Manhattan Area Housing Project. The MAHP would use the land — which the city has struggled to sell — to develop two-family housing targeted at residents ages 55 and up in the 40 to 60 percent median income level. Courtesy of the City of Manhattan. 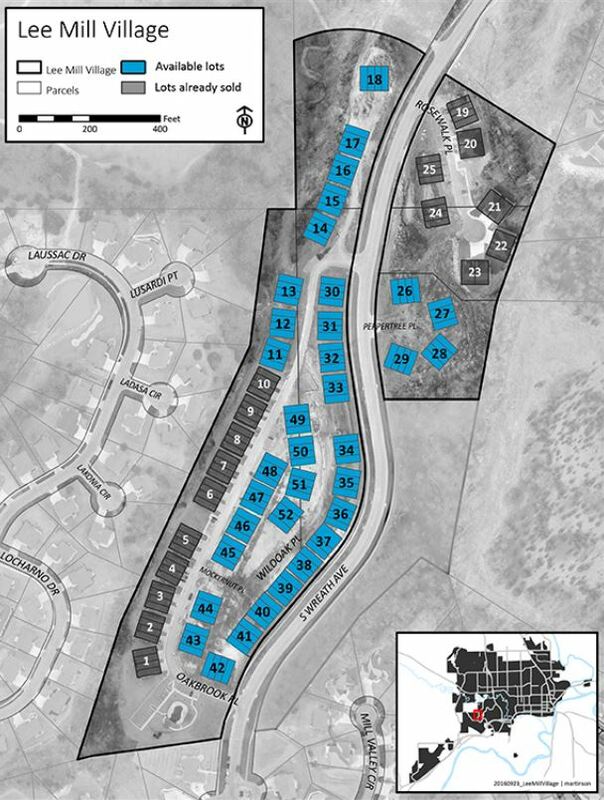 The development, currently called Canyon Creek Senior Housing, would consist of 18 buildings holding 36 two-bed, one-bath duplexes. 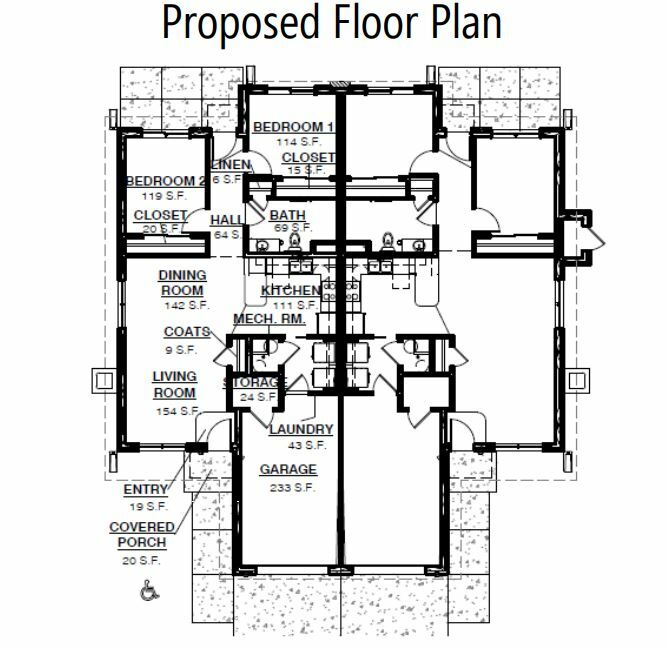 The units would have a garage and include appliances, the 19th building would be utilized as a residents’ club house. The city acquired the land through a Riley County tax sale after a previous development had trouble getting off the ground. They have been covering special assessment taxes on the land since 2012. Under the deal, the city would cover $190,000 in unpaid special assessment taxes and waive what would be $93,000 in utility connection and building permit fees — though the details pertaining to the utility fees will be voted on at a later meeting. The deal is also dependent on the MAHP receiving tax credits from the state to finance the development, which the city unanimously resolved to support. They expect to receive a response to their tax credit application in Summer of 2019. If their conditions aren’t met, MAHP can back out of the deal. Annually, the city’s exposure is $60,591 as they miss out on collecting property tax revenue on the lots. Deputy City Manager Jason Hilgers says the sale will be revenue positive within two years as the lots enter the tax roll. Commissioner Jerred McKee says he’s excited about the deal and hopes it sets a precedent going forward. Commissioner Wynn Butler didn’t like the idea of waiving their fees. Commissioner Linda Morse says she isn’t happy with dollar amounts in the deal, but is happy the properties will be back on the tax roll. One of MAHP’s partners, Schultz Contruction President Brett Ballou was at the meeting on behalf of MAHP Executive Director Jill Jacoby. He vouched that she is very passionate about the development, but couldn’t attend the meeting. Ballou says the development can’t be done without the city’s help. 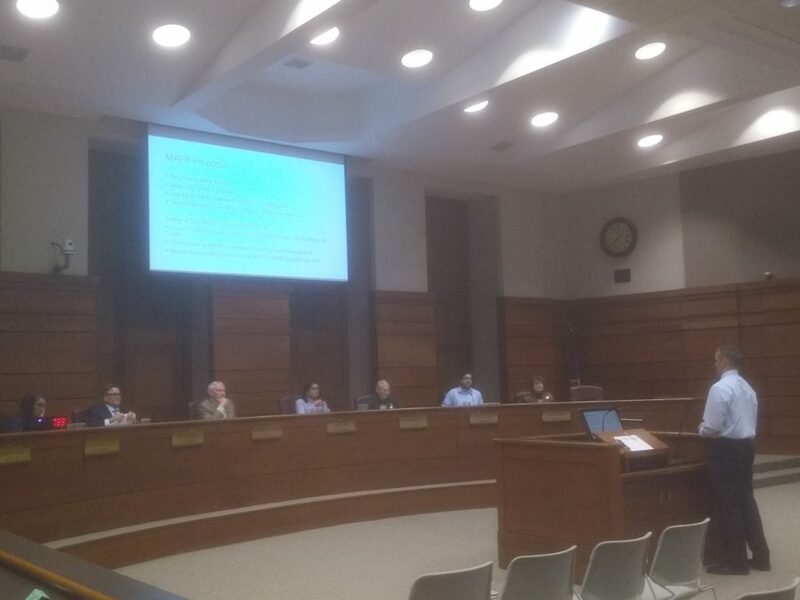 The commission also unanimously voted to amend the Planned Unit Development district altering regulations on parking stall requirements, fencing and landscaping. The Manhattan Conference Center is going to grow by up to 14 thousand square feet. The Manhattan City Commission approved a $3.5 million expansion of the center at their Tuesday meeting after multiple previous discussions. They also raised transient guest tax by 0.5 percent to help fund the project — which Commissioner Wynn Butler supported. He also says the move indicates a prioritization of using TGT for the Conference Center with the remainder being allocated to the Convention and Visitors Bureau. 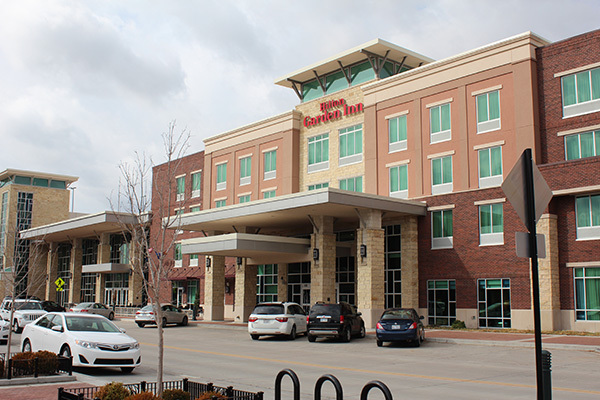 Also under the deal, if the guest tax doesn’t reach projected levels then the CVB and Hilton Garden Inn/Conference Center ownership company HCW will pay up to $25,000 each to help with debt service payments. HCW will pay for $800,000 of the expansion, an investment that Deputy City Manager Jason Hilgers says is uncommon to see in many other communities. Mayor Mike Dodson comments. “This is a rather unique partnership that either party by themselves would not be able to accomplish,” says Dodson. The center’s ownership will also be paying property taxes on the property, which Manhattan Area Chamber of Commerce President and CEO says is not common on similar developments. Commissioner Linda Morse says she’s been an advocate for increasing the size of the center. “I think it’s really important that we be able to even handle two moderate sized conferences at the same time so that we aren’t maxing out so quickly,” says Morse. Mayor Pro Tempore Usha Reddi says there weren’t any surprises in the ordinance as they’ve been working on the deal for some time. “As a growing community, this shows evidence that we need to have more spaces for conferences and events as opposed to downsizing everything,” Reddi says. Debt payments on the center will be fully paid off in 2046. During their Tuesday meeting, Manhattan Mayor Mike Dodson asked for forbearance from public regarding potholes around the city that have popped up in the last week. Dodson says city public work crews are working temporarily patch holes until they can get around to them in their normal maintenance period. Residents can report potholes and other non-emergent issues around the community on the City’s website. Click on the Residents tab and follow the list to the Report It! link to make submissions or through the city’s smart phone app. The post Manhattan approves Conference Center expansion, real estate deal with MAHP appeared first on News Radio KMAN.